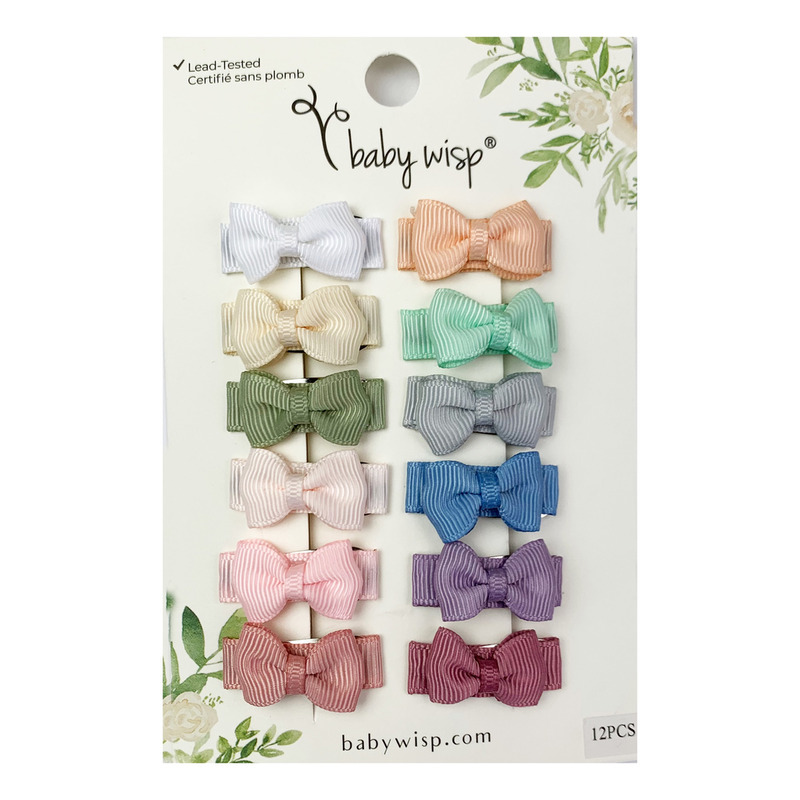 TWELVE bows curated to give maximum impact to a baby girl's outfit! Infant girl dresses, shorts, casual wear can all be accessorized with just this set. Take the guessing out of baby shower gift giving and show up with this pack. Sweep fringe away out of baby's eyes! Pretty colors to coordinate with baby/ infant's stylish ensemble.